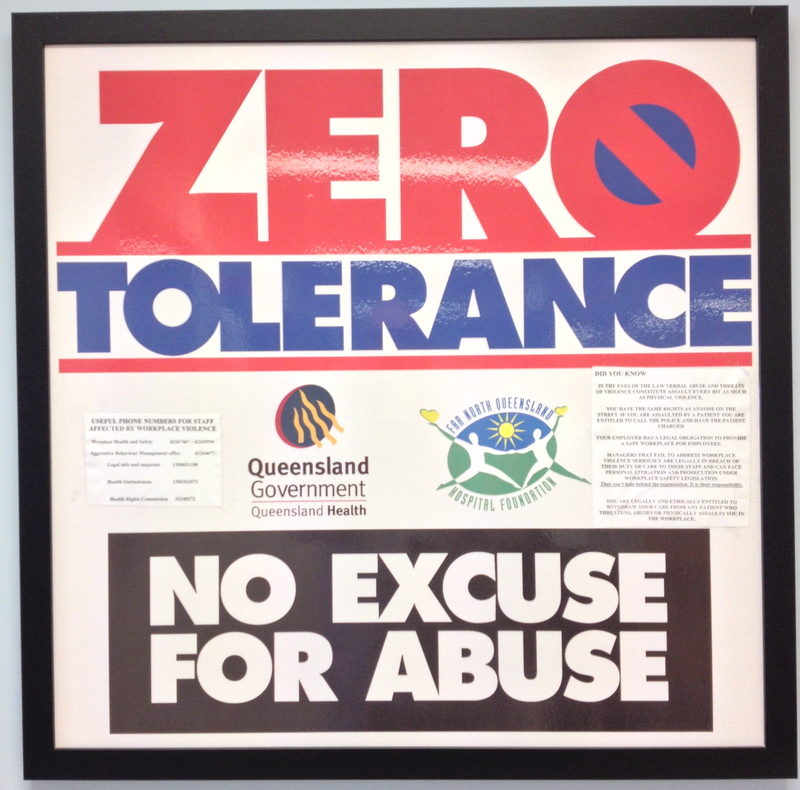 Zero Tolerance posters are a visual deterrent, just as Security Officers are, 90% of the time, a visual deterrent. The majority of clients dont need reminding that violence and aggressive behavior is unacceptable. 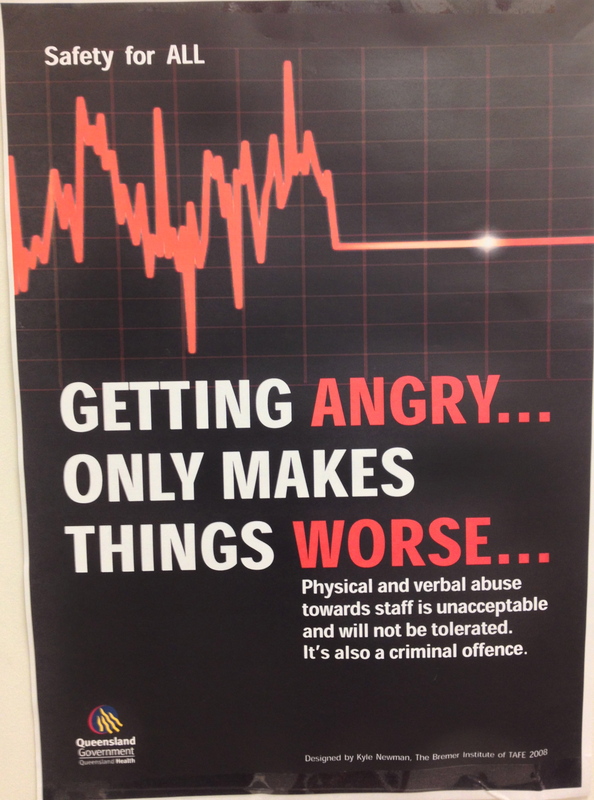 The posters and policys arent aimed at them, they are aimed at the clients who dont have rational thinking, who believe abusing staff is their right, who believe they are above the rules, who choose to abuse. The posters and policys are to remind them there are rules and there is consequences for inappropriate behaviour. 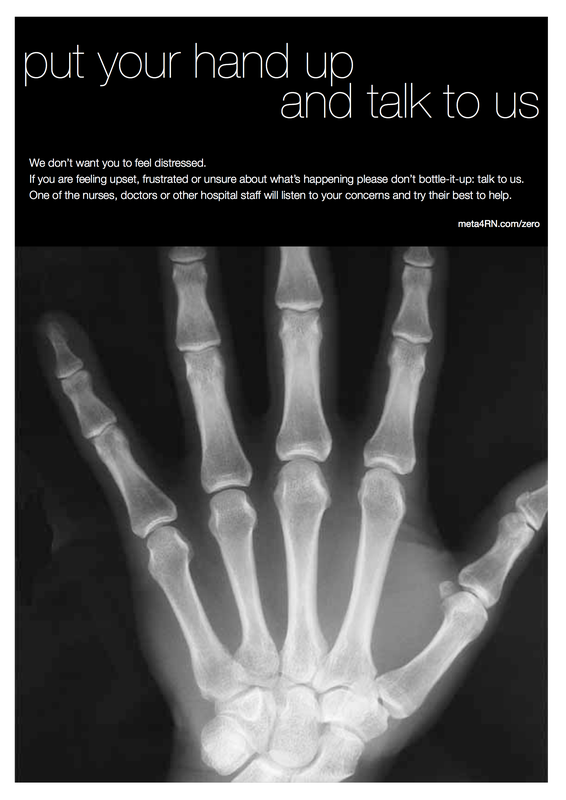 Zero Tolerance is to protect staff and the public in general and reinforce that bad behaviour, violence and aggression will not be tolerated and never should be. When violence is a choice or caused through the growing numbers of drug and alcohol psychosis, there MUST be a place, when nice words and understanding fail, as it inevitably does in these situations, when staff can say, your ongoing behavior is unacceptable and threatening and will not be tolerated. Sadly, this is a modern day reality. Zero Tolerance is necessary, no, it is essential.